A brand new party has sprouted up in the Swedish political scene with just one goal in mind. You might not guess from the name, but the newly founded Nature Democrat party is committed to the complete elimination of wolves in the country. The move has reignited the ongoing debate over how Sweden deals with an animal that, just a few decades ago, was driven to the brink of extinction. Humans and wolves have had a long and generally rocky relationship in Scandinavia throughout much of the region's history. For years, farmers were so quick to kill wolves to prevent attacks on livestock, and other to hunt them for their fur, that wolves were nearly made extinct by the mid-20th century. In 1960, the killing of wolves was banned in Sweden and the species saw a slow but steady recovery. Last year, with an estimated wolf population of only 237 wolves in Sweden, that ban was lifted, but with quotas. Now, the Nature Democrat party wants to see all the wolves eliminated. In fact, that's the only issue on their platform. Leaders from the new political party have eased back a bit on the rhetoric of their anti-wolf philosophy following some public backlash, adding that they aren't necessarily trying to promote shooting wovles -- just getting rid of them somehow. According to the Nature Democratic head, hunter Marcus Werjefeldt, the original party line hasn't changed. "We don't want to eradicate wolves. We just don't want them in Sweden," he said to TT. Werjefeldt doesn't have a clear idea on how to best get the wolves out of the country, but maintains that policies need to change. Regardless of where you stand on issues such as hunting and animal rights, mustn't there be something troubling about the rise of a party whose only goal is to see the elimination of another being? 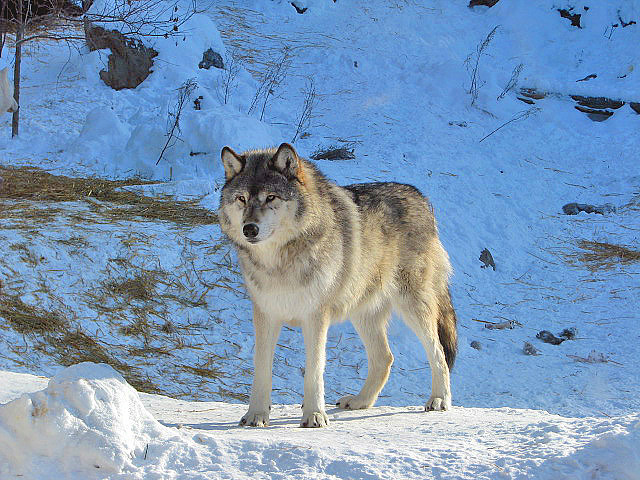 Responses to "Swedish Political Party Wants to Eliminate Wolves"
What's up with Wolf Hating? It's a disease that has hit the world... this disease is called Ignorance...and it has affected mankind. Then again- the world is reverting back to the "Little Red Riding Hood" syndrome. Man will be the demise of man.